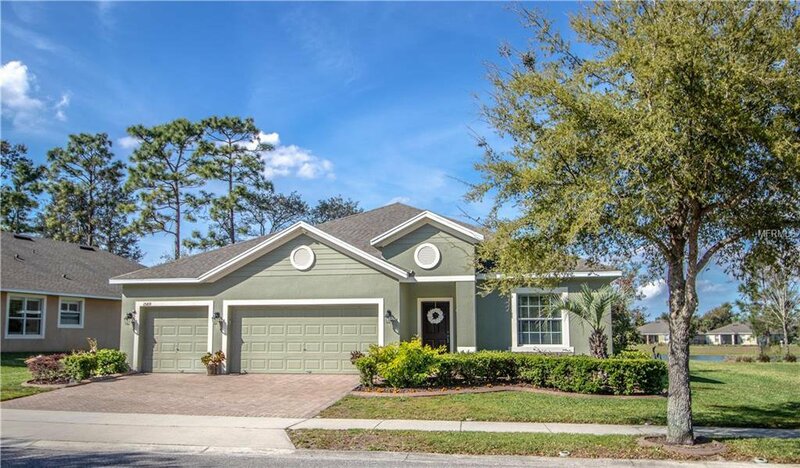 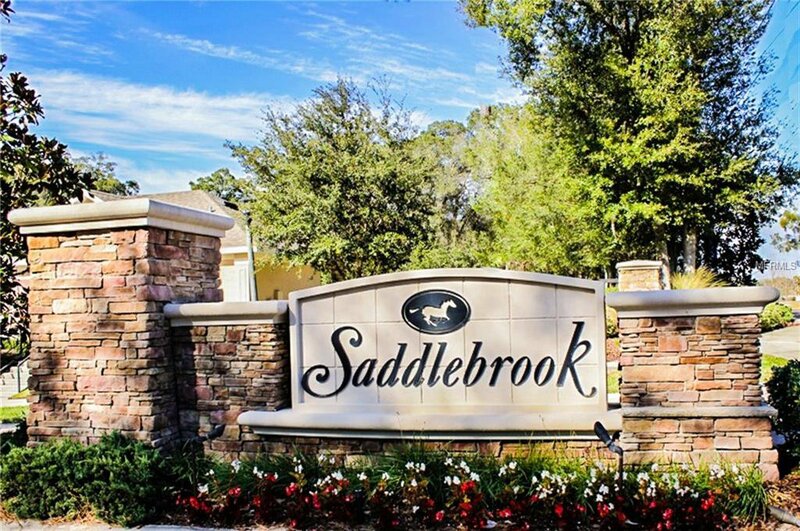 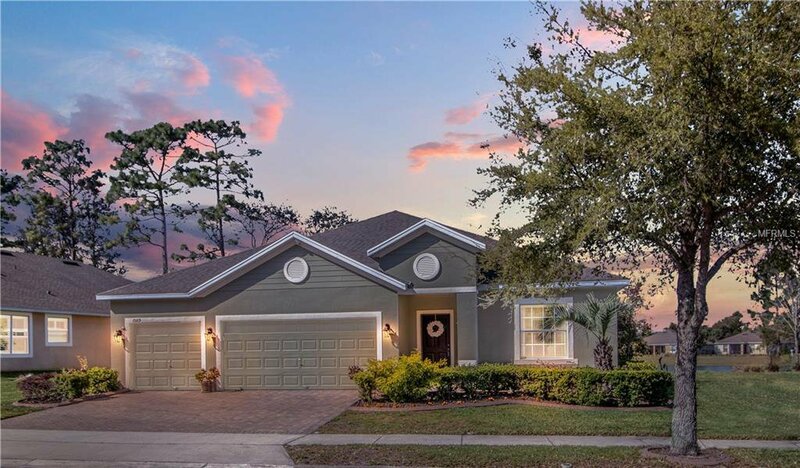 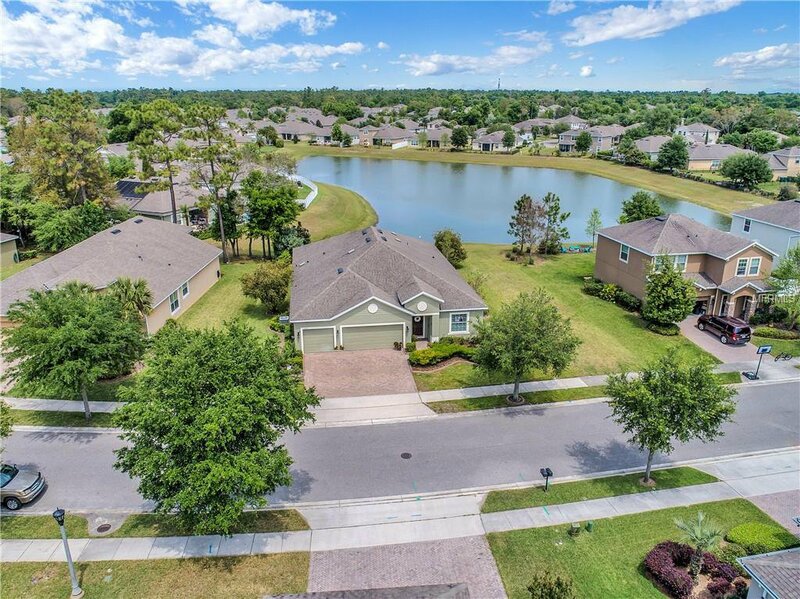 BEST SELLING Taylor Morrison Emerson model in the highly sought-after SADDLEBROOK community! 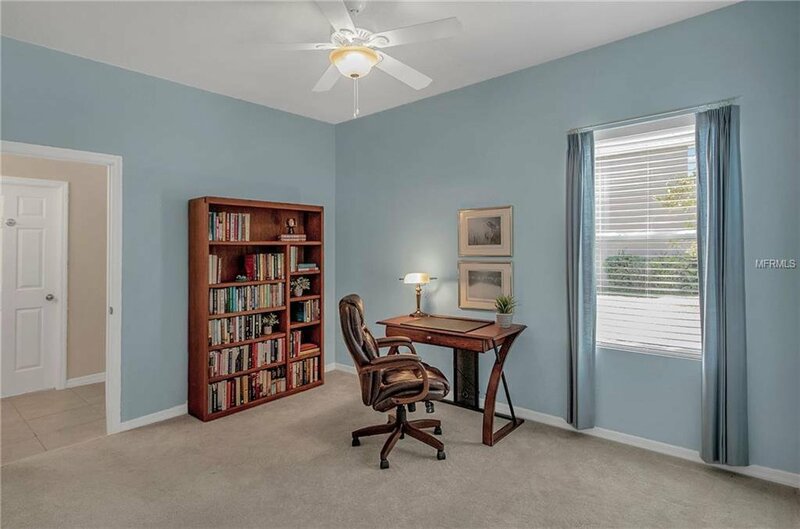 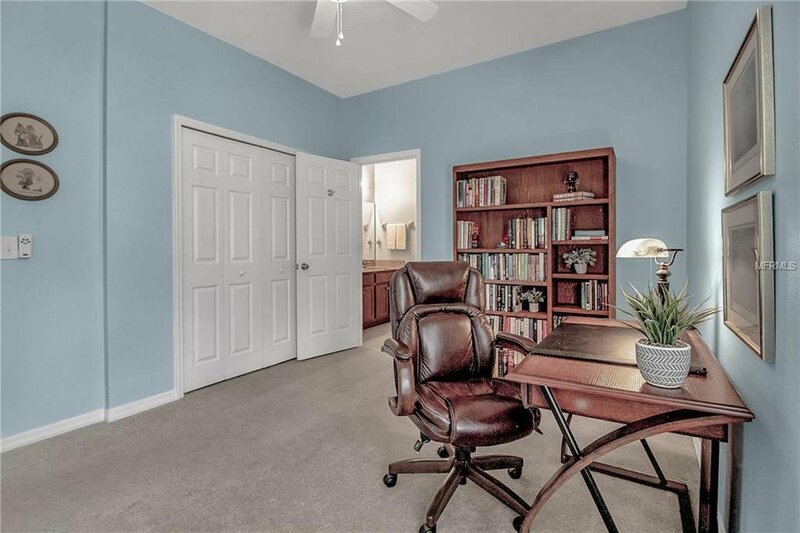 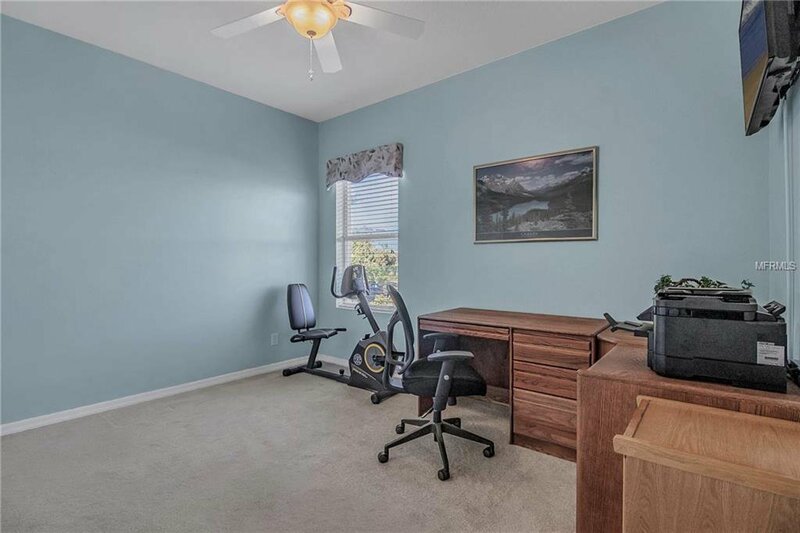 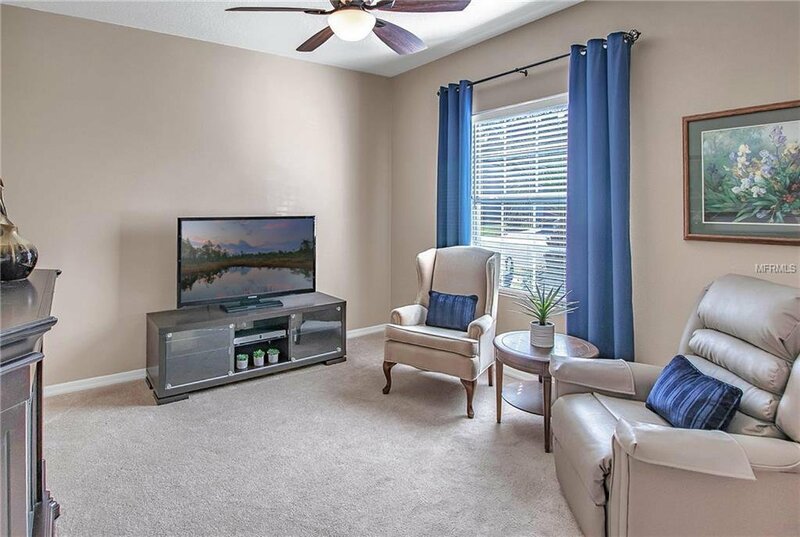 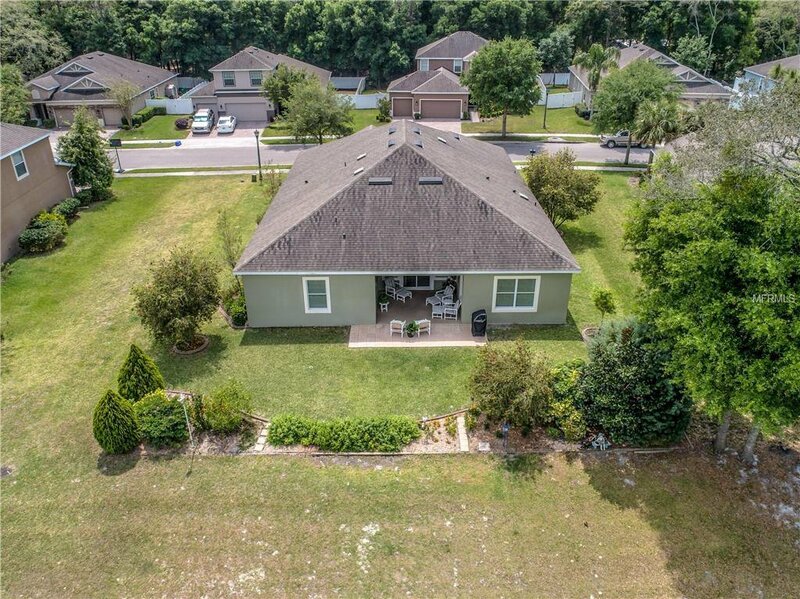 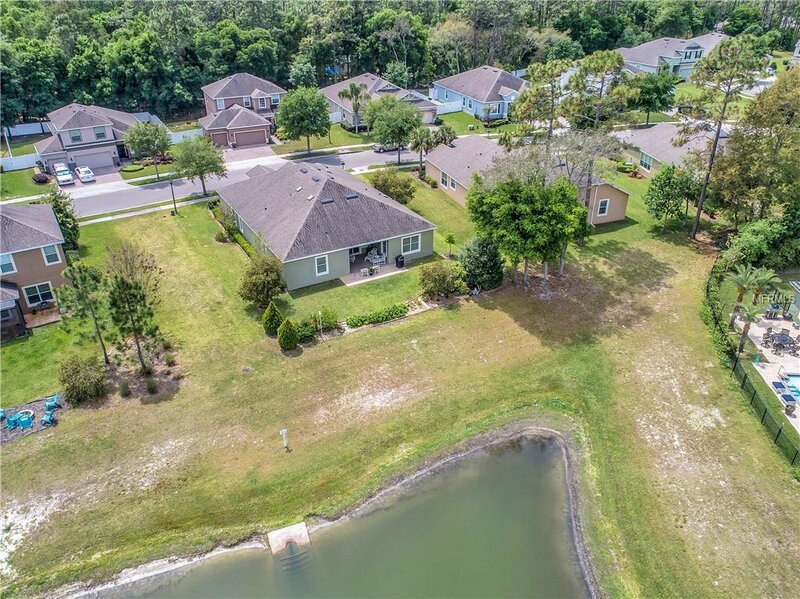 Situated sweetly ON THE POND w/an additional easement to the side, this charmer has one of the BEST PARCELS IN THE COMMUNITY on a QUARTER ACRE W/NO REAR NEIGHBORS & NO NEIGHBORS TO THE DIRECT SIDE. 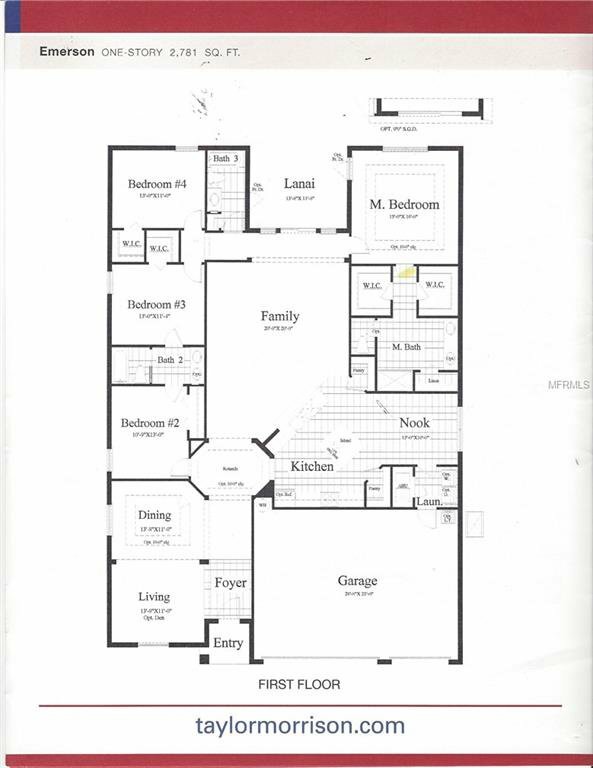 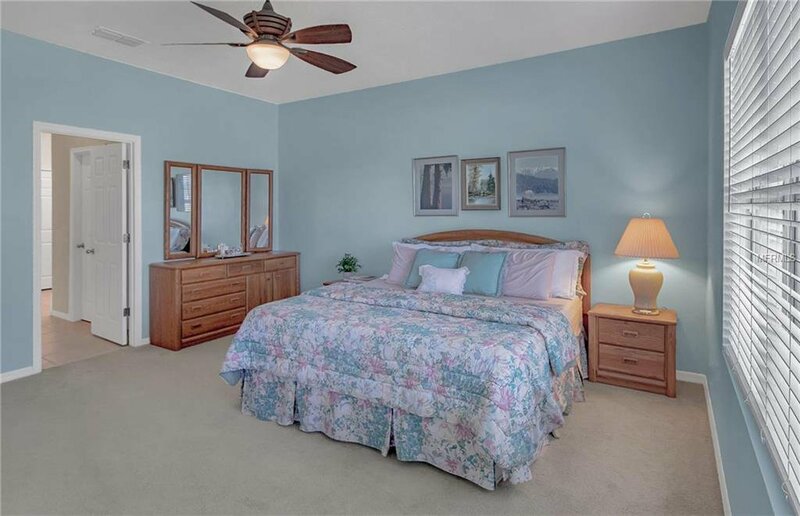 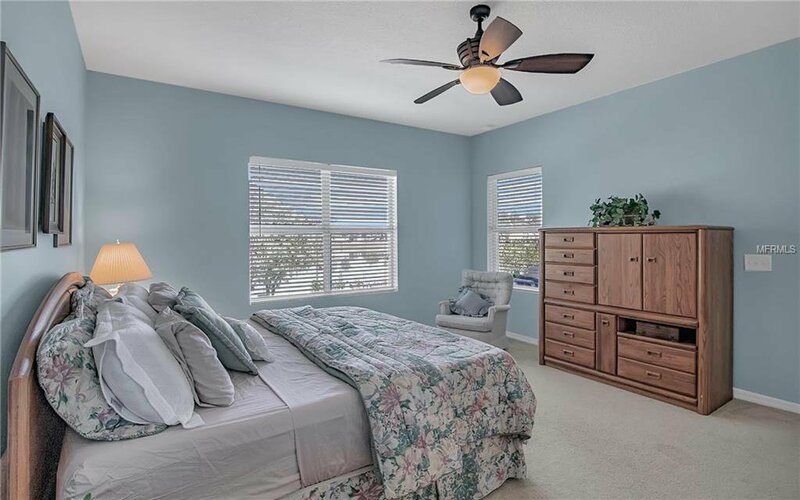 The floor plan is VERSATILE & PRACTICAL w/multiple uses for the triple split bedroom design. 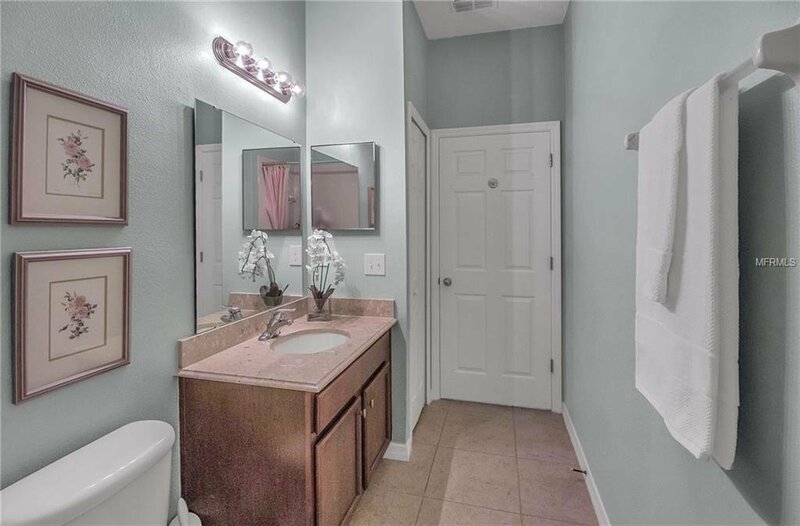 It is also CAPTIVATING using space functionally & with beauty! 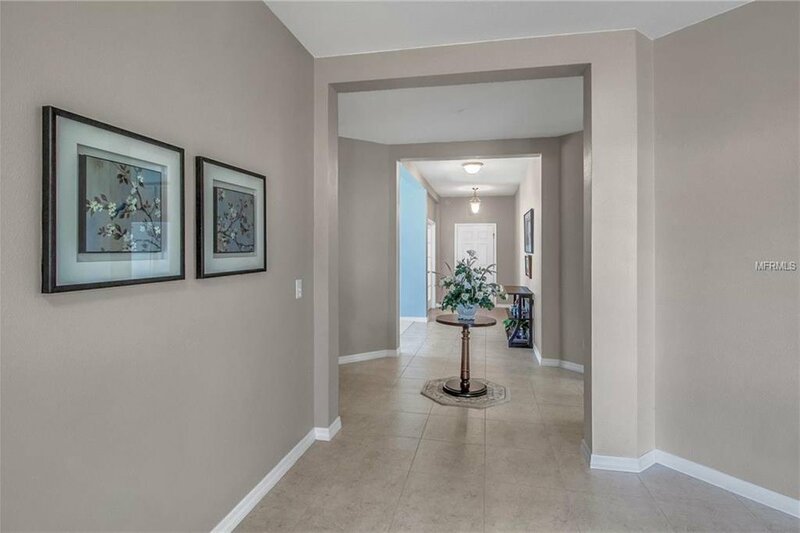 Through the ROTUNDA ENTRY an ENORMOUS GREAT ROOM awaits...but it is the kitchen that wins the hearts! 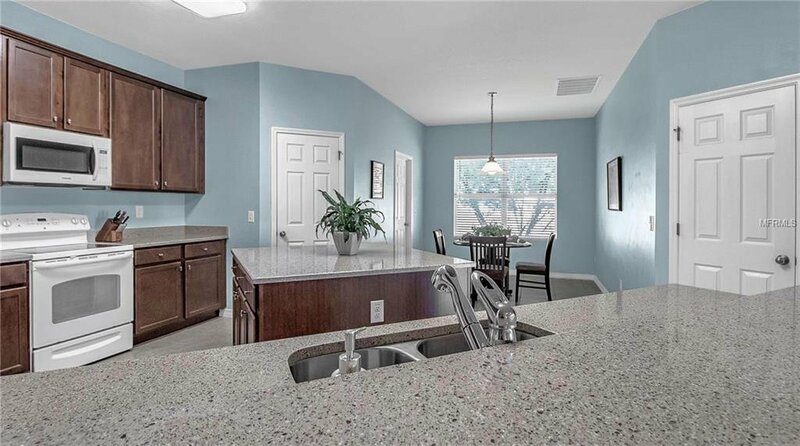 The LARGE CENTER ISLAND, TWO WALK-IN PANTRIES, SOLID SURFACE COUNTERS & the uniquely angled cabinetry provide one of the most serviceable designs creating triangles for multiple tasks & cooks while being entirely interactive with guest. 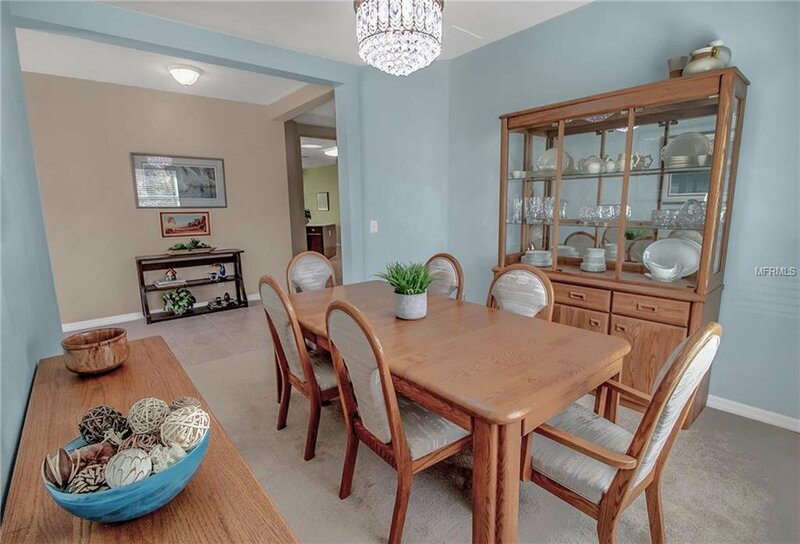 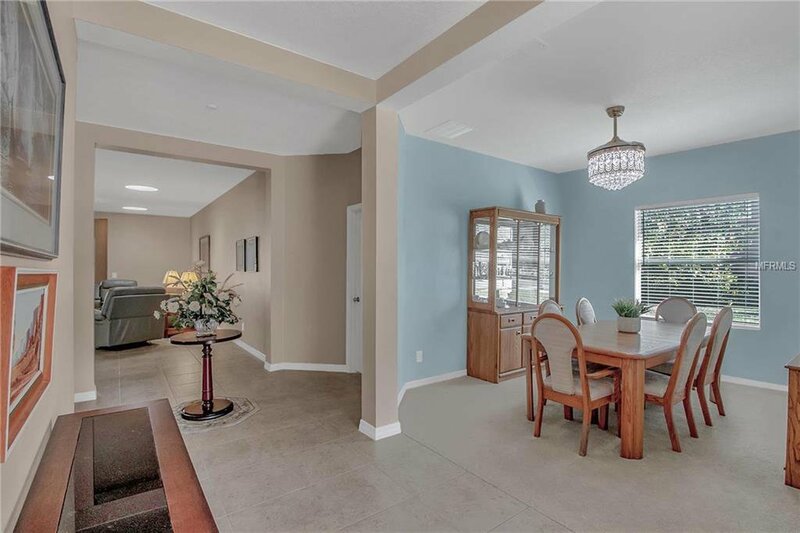 Formal dining is off the rotunda as is a DEN through FRENCH DOORS. 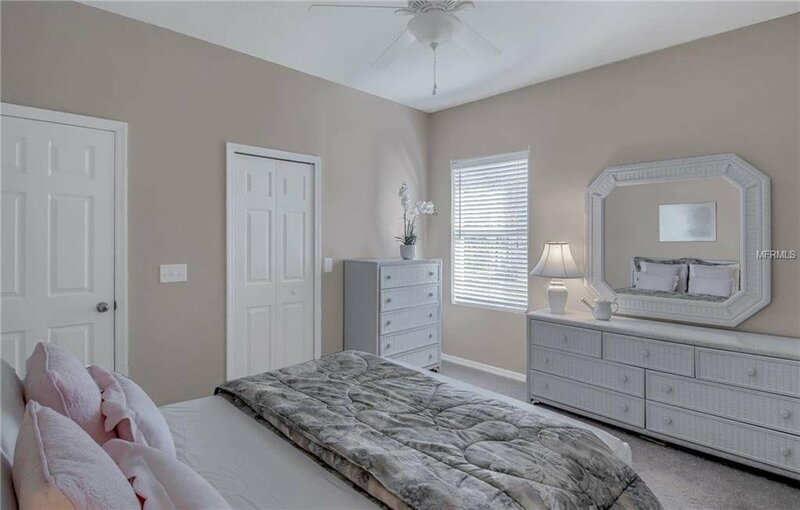 The master suite is spacious w/sizable HIS & HER WALK-IN CLOSETS, a GENTLEMAN HEIGHT vanity, an enormous LINEN CLOSET & a LARGE WALK-IN SHOWER. 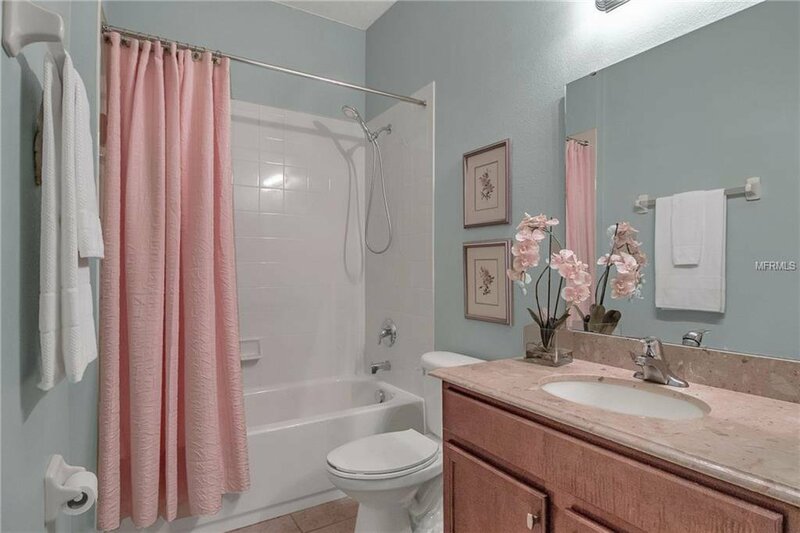 Two bedrooms (easily paired together as a small suite w/bedroom & a separate sitting area) share a JACK & JILL BATH w/PRIVATE WATER CLOSET. 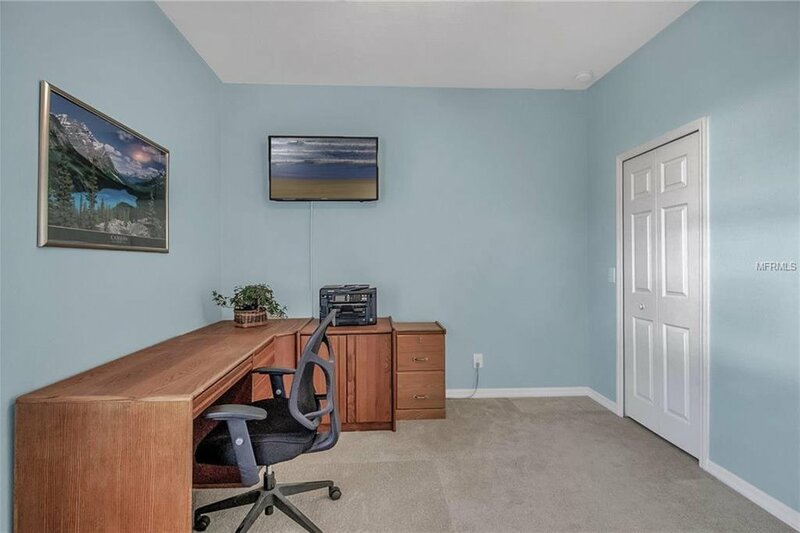 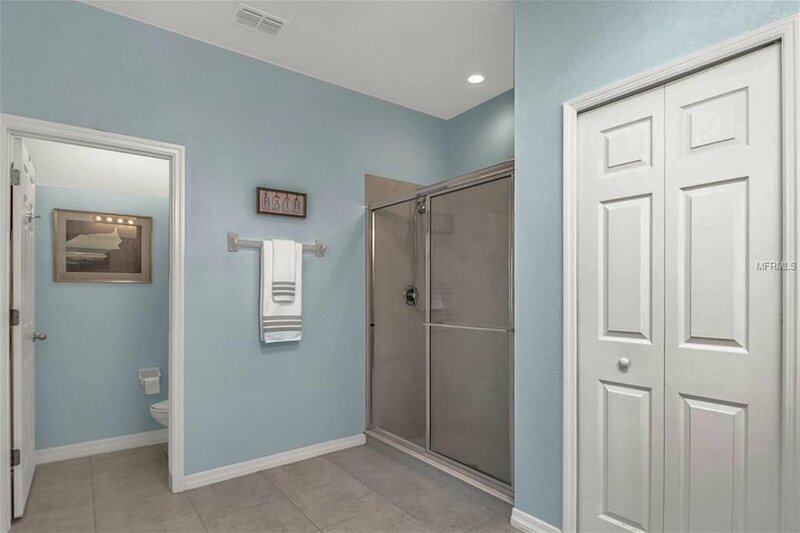 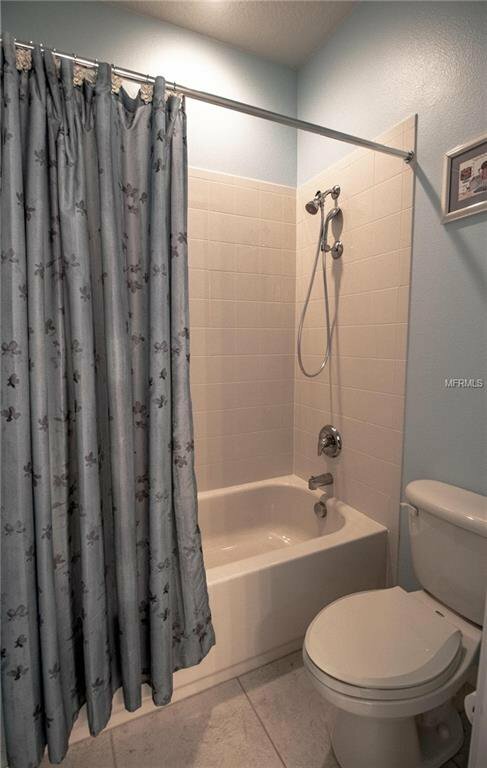 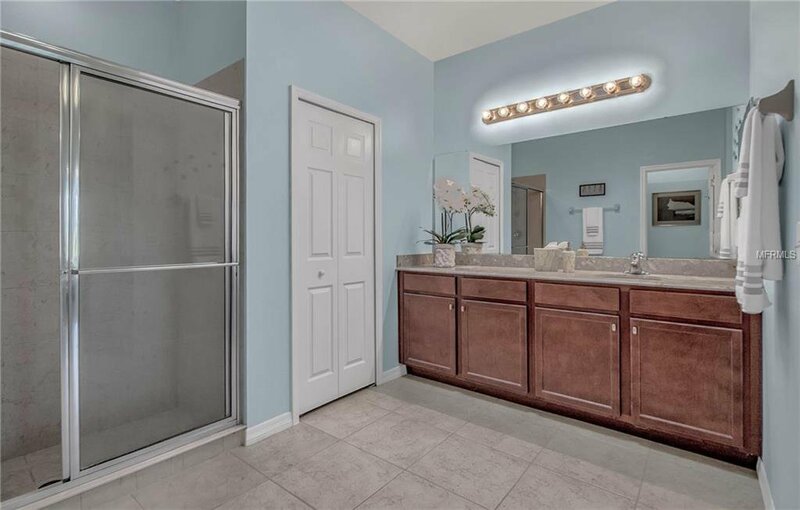 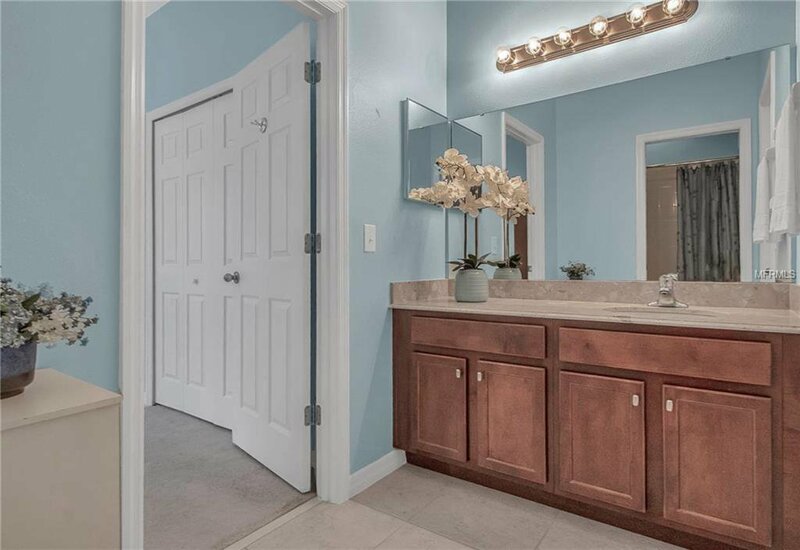 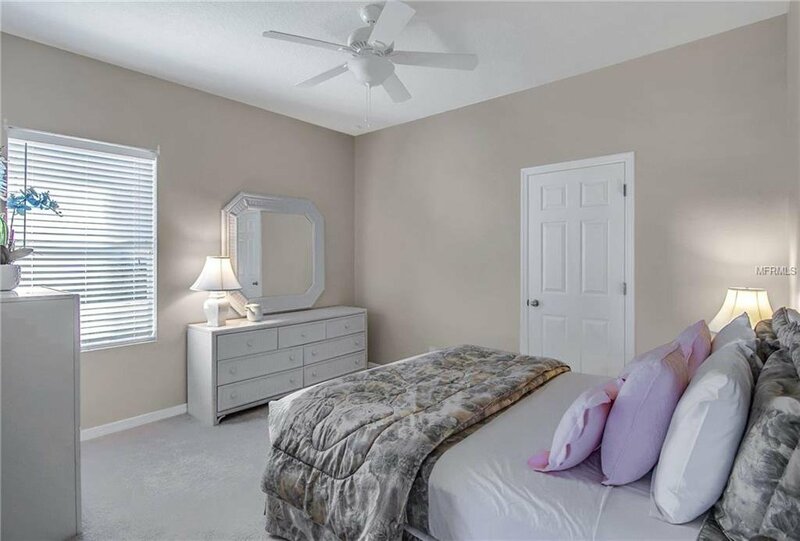 A 4th bedroom w/the 3rd WALK-IN CLOSET shares the 3rd bath. 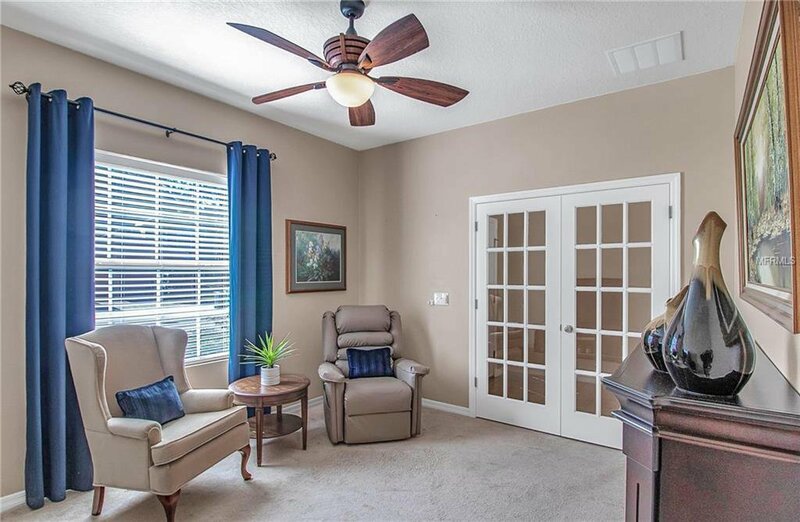 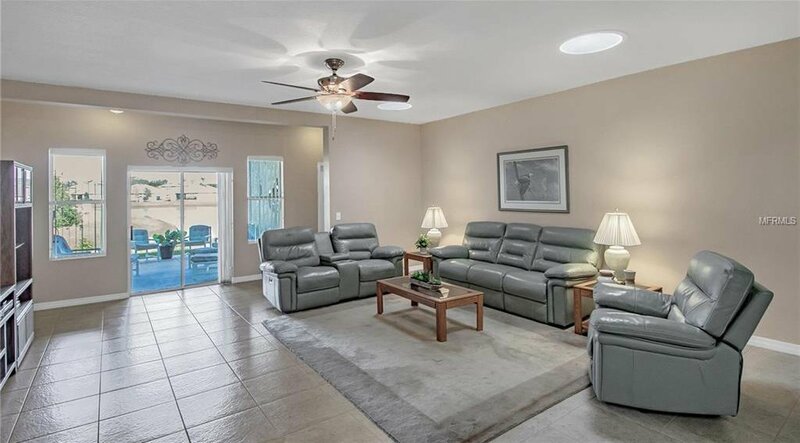 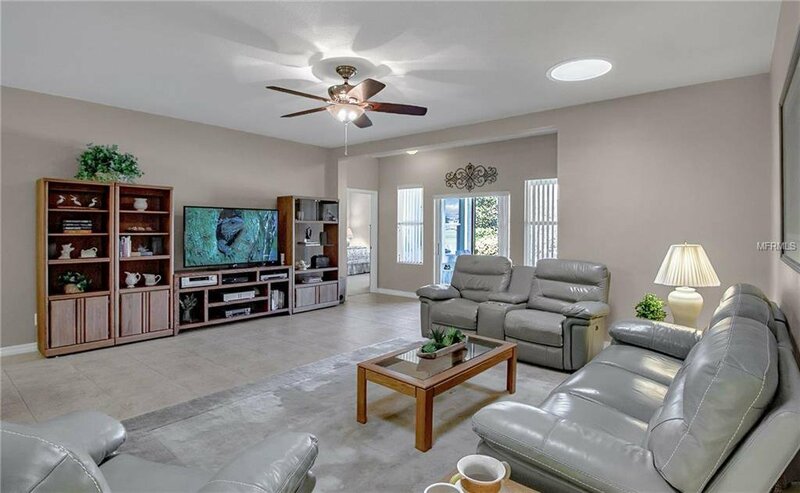 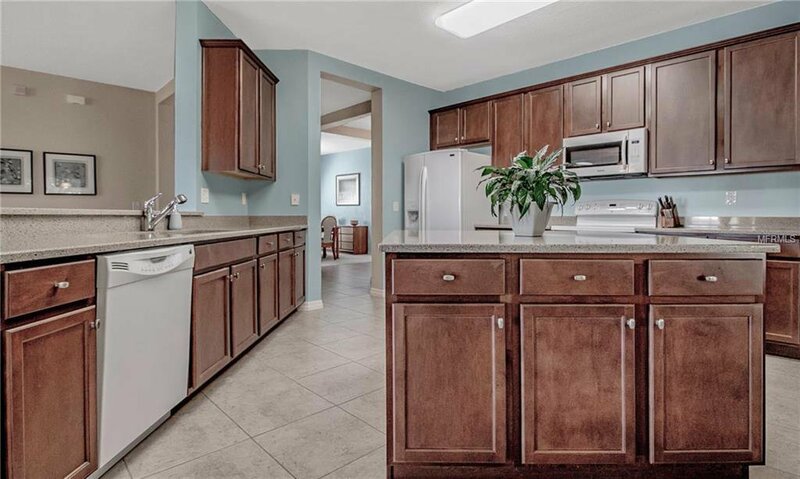 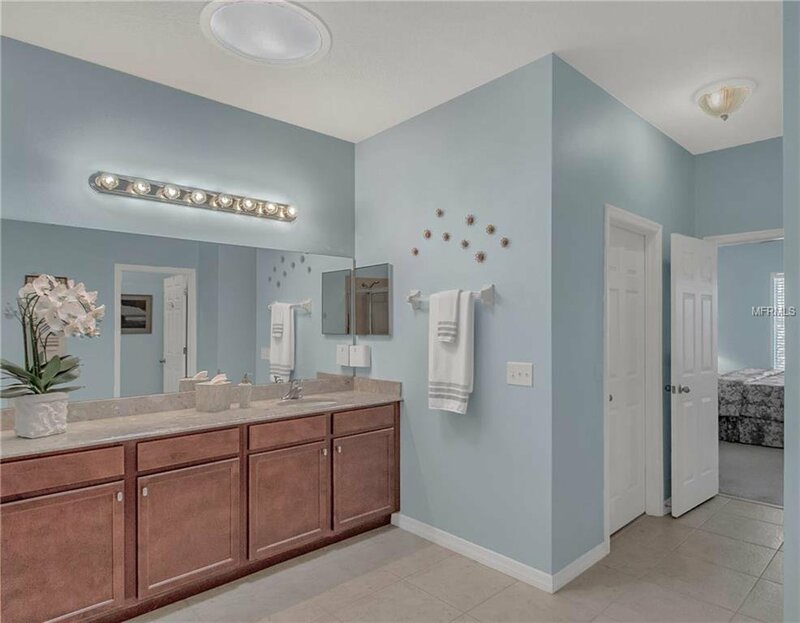 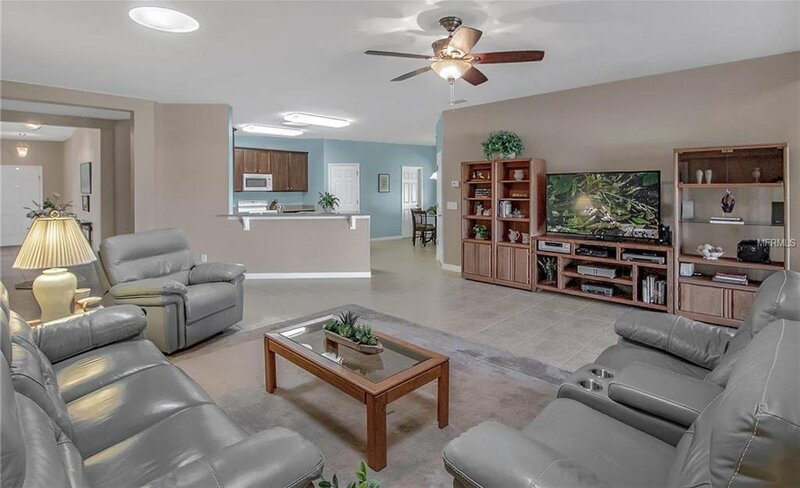 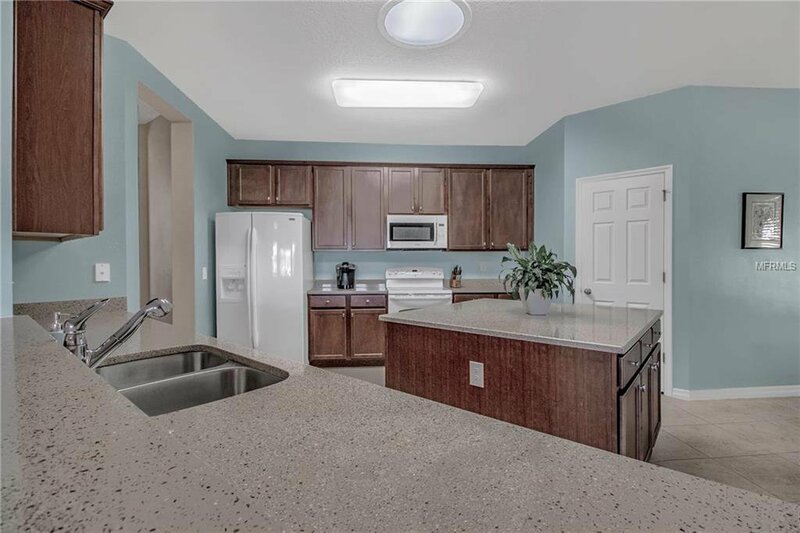 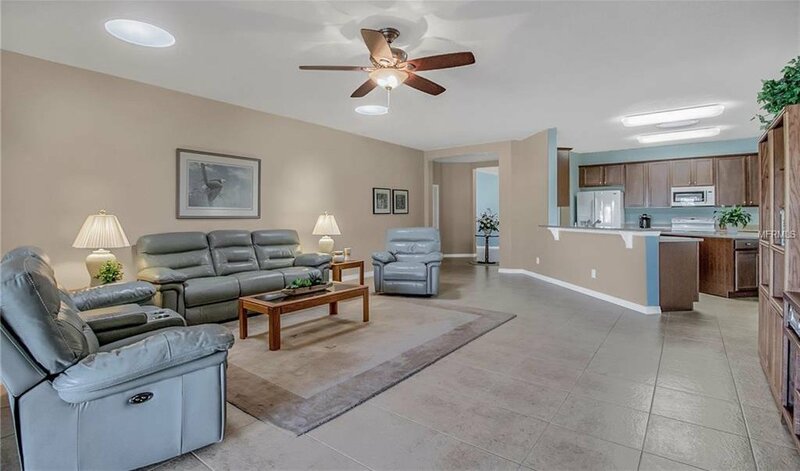 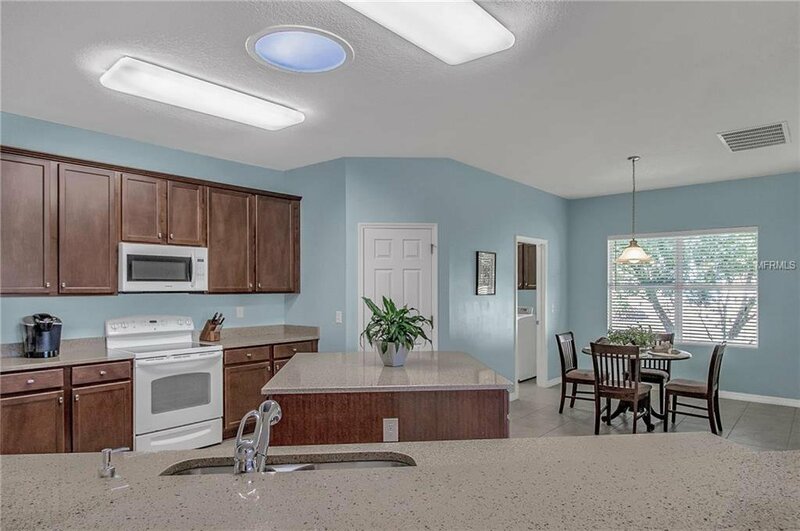 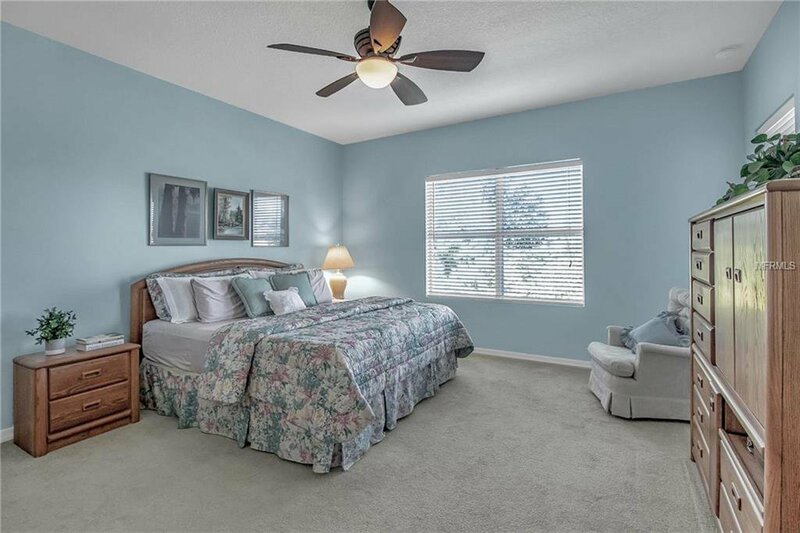 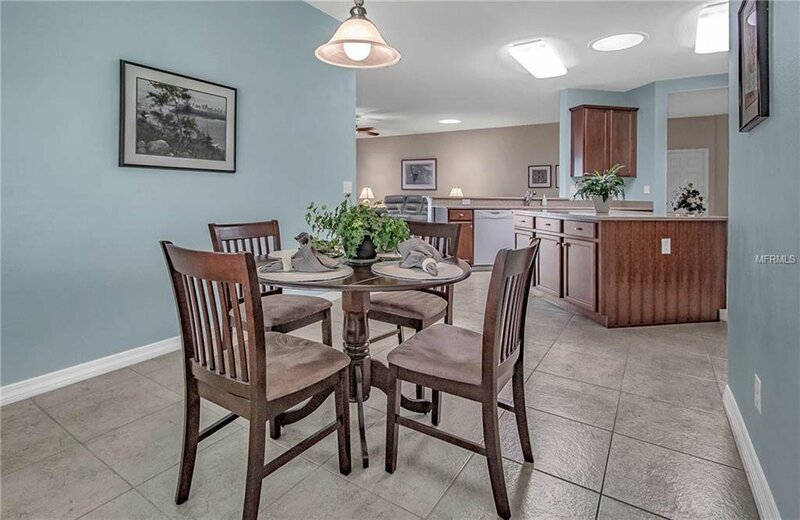 The home is IMMACULATE...LIKE NEW...TILE THROUGHOUT main living areas & 4 SKY LIGHTS to keep things bright! 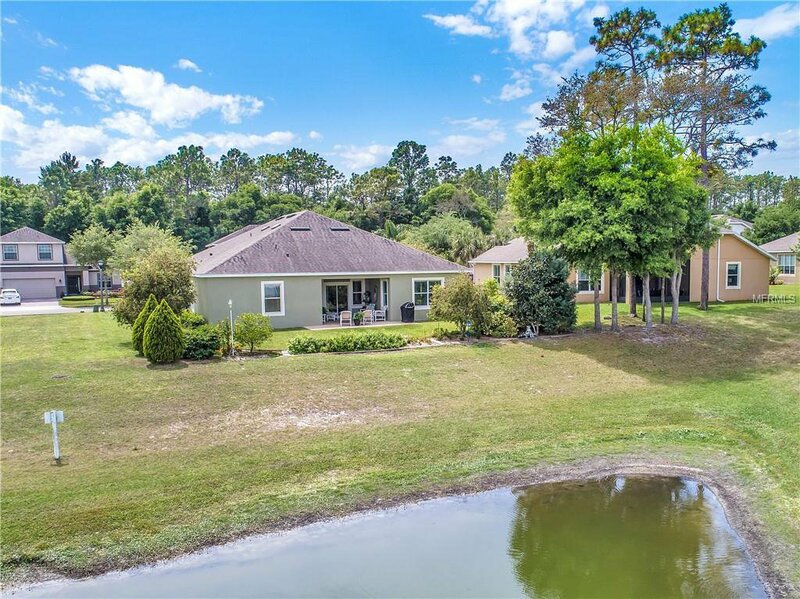 An EXTENDED PAVED LANAI that is always in the shade overlooks the water & a lemon tree from which to make a refreshing glass of lemonade. 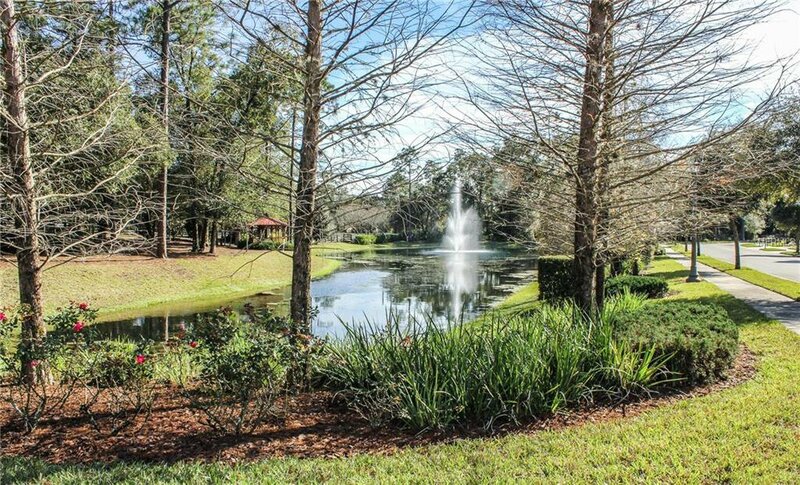 PRIME LOCATION...5 MINUTES TO I-4 or to downtown Deland...America's #1 Main Street.